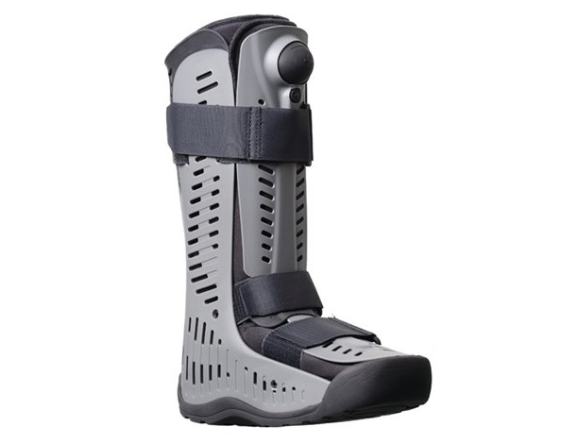 An offloading walking boot encompasses the entire foot, ankle and lower leg and is fit with a custom foot bed made of very soft foam materials. It is indicated for patients with ulceration and insensate feet usually secondary to pathologies such as diabetes, peripheral vascular disease, arteriosclerosis and charcot neuropathy. Its purpose is to accommodate any open wounds/sores and promote healing, while still allowing partial weight bearing through the foot.